The decision to self-publish was kind of an arduous one. 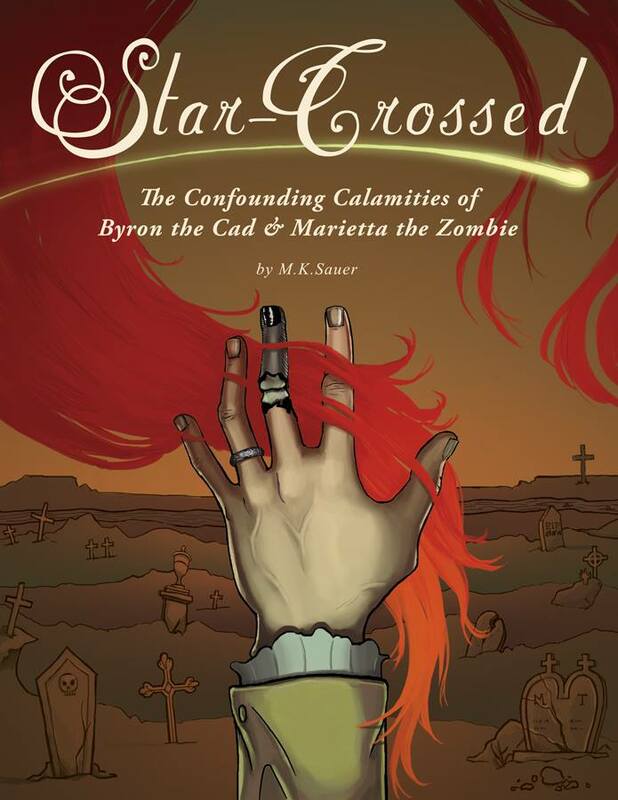 When I finished Star-Crossed, I thought that it was the most-publishable thing I had ever written and I was filled with confidence that I would soon find an agent and—whoosh!—a contract with a large publisher. A bit naive, I know, but these were my hopes, nonetheless. I got a subscription to Writer’s Market and sent out four query letters a month to literary agents. (I find that Writer’s Market is good for finding publishing houses and agents, but they send out WAY too many e-mails asking for yet MORE MONEY that it’s almost not worth it.) I did this for six months, so, six times four is 24, and after a year of waiting, I had gotten four actual rejections. Now, I know that 24 isn’t a lot, but the feedback that I did hear was “good story!” “interesting!” “I like it!” but not one of them wanted to represent it because “it’s not my thing,” “it’s not very marketable,” and “I want young-adult dystopian sci-fi.” If I hear that someone wants young adult dystopian sci-fi one more time, I’ll probably go get plastic surgery to look like Jennifer Lawrence and cry myself to sleep every night. I get to control the book price and receive more profit! I can connect more to my audience. Publication is pretty easy and rather instant; the only one controlling how often my books come out is me. If I publish enough / get good enough press, a publishing company might pick me up as a client. It costs money to make a quality product (about $2000-$3000 for a novel of my length, about $500+ for professional cover art, and the cost of printing books via Lighting Source). Self-published novels are so abundant, and a majority of them have many issues, that the perception of them is negative. Self-marketing is hard and sometimes even costs more money to get review of your novel out there for a wider audience. Less control over eventual product due to pressures of publishing houses. Traditional publishing is going through sort of a tough time right now and I figured that a strange book like Star-Crossed just isn’t something that traditional houses are willing to bet on, so WHY NOT TAKE CONTROL? So, like Cho Simba, I’ve begun the journey. Next post I’ll talk about my steps and where I’m at now. *I actually own a pair of Wonder Woman footie pajamas and yes, they are every bit as glorious as you would think. dilemmas, self publishing pros and cons, self publshing, Star-Crossed, wonder woman! I know, I know. I have a habit of doing this. I wrote a piece about boycotting the internet in an effort to make my life better and that was part of it, but mostly it was my own laziness. On a better note, here are some updates! 2.) It’s been over two years since I’ve owned the coffee shop. That means that my SBA loan restrictions have been lifted! Which, in reality, doesn’t mean much, but it’s a milestone, regardless. People ask what my one-year goals are for the shop. My response is always to be here the next year. 3.) BYRON IS MOVING FORWARD. After the long-decision-making-time, I’ve chosen to self-publish. I’m waiting for editing changes and then I’ll edit-edit-edit like crazy and hopefully have a beta version this January. 5.) I’ve been taking some time off from work for my own mental health and have been working out/writing/generally lazing about so as not to make my anxiety/depression any worse. That will most likely have a bloggy post of its own (as will most of these subjects) but I’ve made progress on my worry-scale and have been rethinking what I define as success and have been trying to get better at being okay with my life. 6.) I have visible triceps. I can do, like, four pushups. Yeah. I’ll update more regularly. Maybes like, every few days or so, you know? Chaa.